DermMatch Topical Shading products will give you the thickest, fullest hair – instantly. 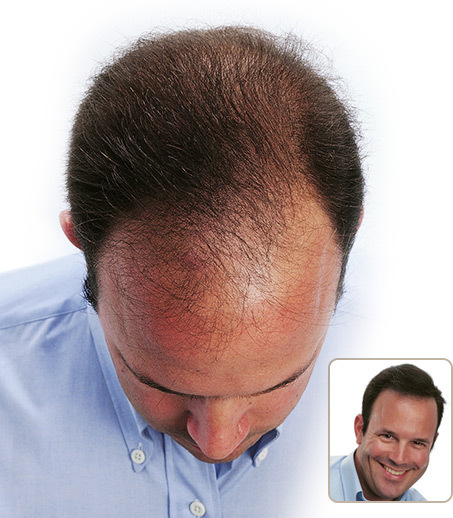 Thin hair and small bald areas disappear instantly with DermMatch. You can swim, sweat, or brush with it on! to those who suffer from hair loss. My heart’s desire has always been to help others, like myself, who have suffered from eyelash, eyebrow and hair loss. Since 1993 I have provided outstanding products to help restore a feeling of natural beauty and normalcy to lives of those who are suffering through these afflictions. I offer a wonderful product line consisting of truly Natural Looking False Eyelashes and False Eyebrows, amazingly Waterproof Makeup for the eyes, brows, and even the scalp. Our waterproof make-up is a favorite as it stays on “like a tattoo”, enabling one to resume living a normal life without the concerns of our make-up coming off. (I put my makeup on in the morning and don’t even think about it for 24 hours! I can swim, cry, perspire, etc. and my makeup stays on!!) We even offer products to help regenerate hair, eyelash and eyebrow growth as well as offer homeopathic products to reduce anxiety and insomnia. Cheryn shares her story, as well as demonstrates make-up and false eyelash and eyebrow applications, to restore a feeling of beauty and normalcy.